#OSCARS2018 poster series: The film directed by Greta Gerwig is also a semi-biopic. Some of the elements that build the personality of the main character are hidden in the poster, such as the train tracks, the pictures of Sacramento bridge, and the “blink-and-you-miss-it” christian cross highlighted in the window. 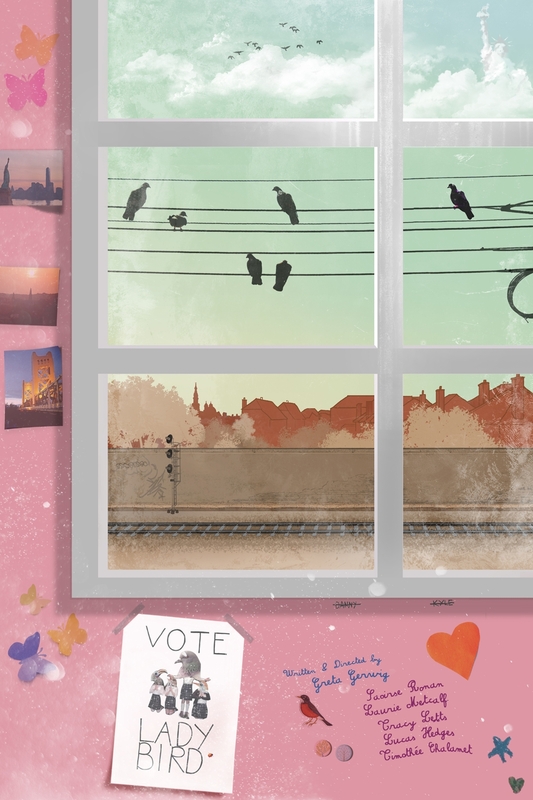 The top view of the window represents her will to want to get out of her boredom and “give wings to her destiny” (hence the inclusion of the reference to NY) Of course, all of this only makes sense to anyone who has seen the movie.